This volume gives readers insight into F. A. Hayek’s life and ideas. 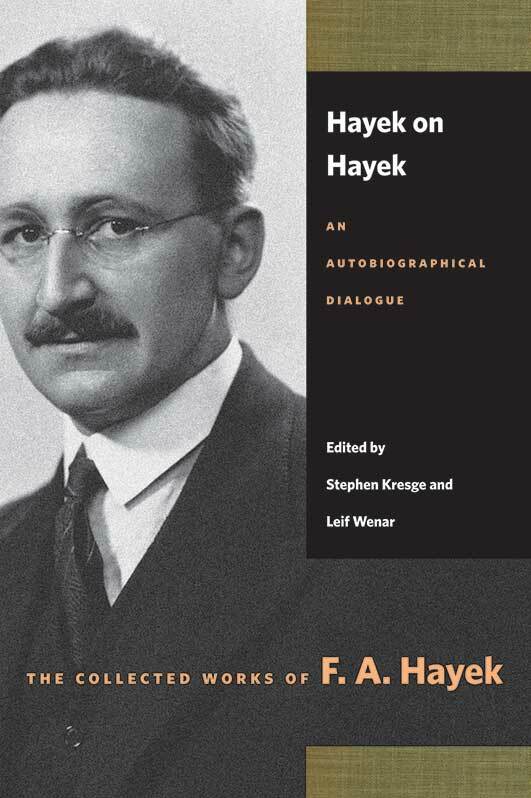 This detailed chronology depicts Hayek’s early life and education, his intellectual progress, and the academic and public reception of his ideas through a series of oral history interviews. Hayek’s own autobiographical notes are included. Stephen Kresge was the general editor of The Collected Works of F. A. Hayek until his retirement in 2002. Leif Wenar is Chair of Ethics at King’s College London. Editorial foreword by Stephen Kresge and Leif Wenar, introduction by Stephen Kresge, index of persons and places.